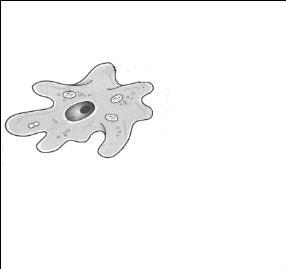 · Protists can be classified into three groups: protozoans, algae, and molds. · Protists have a major ecological impact as food sources, decomposers, and infectious agents. Students will choose any protist they would like and become an expert on that protist. Students will research, compile and organize information on their chosen protist in order to create their own protist fact web page. Web pages will be posted on the bio web page. Students may work in pairs or threes. Once a protist species is taken it cannot be done by others. *Visit this page for helpful information on web page construction. *Use this rubric to self evaluate and turn in with webpage. a. photosynthesis, predator, what does it prey on. Can it do both photosynthesis and predation. a. Uses by man, environmental impact, harmful effects, etc. 5. List of resources (example: name of web page and URL) DV biology http://staff.tuhsd.k12.az.us/gfoster/standard/index.htm Can be done on a linked page. *Very Important: Students will save web page in a file named with their first name(s), last name(s) and class period and protist name (john doe 7 Euglena gracilis). Save web page to disk and turn into instructor or email it to me. *Very Important: Student will also print out a copy of web page attach rubric on top and turn into instructor.